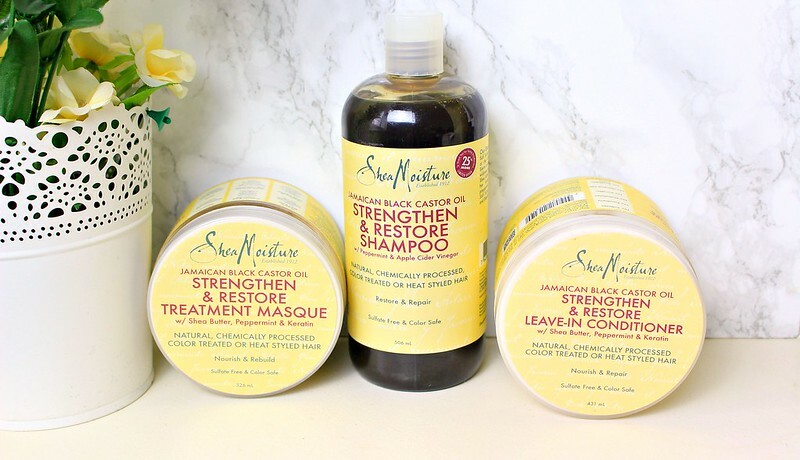 Now If you’ve been a reader of my blog for a while, you’ll know that I have a huge love and appreciation for American hair care brand, Shea Moisture. 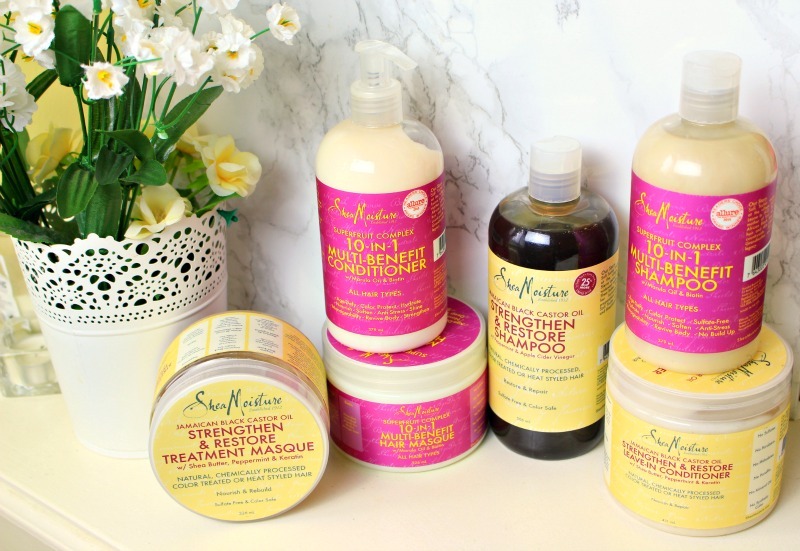 Originally for afro-carribean hair, Shea Moisture have expanded their hair care line and can now be used for all hair types and what’s even better, we can now get them in the UK! No longer will I have to ask my US friends to ship me the products as they will be available right here in Boots pharmacies nationwide and online. As the name implies, the brand features a host of natural ingredients including it’s main, Shea butter, which has been proven to be amazing for moisturising hair. Shea moisture products do not contain paraffin, parabens, mineral oil, petroleum, DEA or artifical colouring and they do not test their products on animals. Back when I used to rock my natural curly hair, I was an avid user of the main Raw Shea Butter line as I found the products insensively moisturing and soothing to my dry, damaged hair (see my review of the line here). Now that my hair is chemically straighened, I have started using the Jamaican Castor Oil line (see my review of the edge treatment here) as Castor oil is known as a pretty intensive ingredient for dry hair and is known for regenerating weak, damanged hair and regrowth. I absolutely love the line and cannot wait to use the Strengthen and Restore treatment mask! Most of the collections include a shampoo, conditioner, hair masque and some sort of treatment, whether it be an edge control gel or a deep leave-in conditioner. As I stated earlier, the products can now be used on most hair types, however I think it would benefit thouse with course/curly dry hair. Shea Moisture is now available at Boots online and in store, starting from £10.99.